We would like to present a result of what we have produced lately for a Swedish company Transtema FOKIAB. The firm is active mainly in fiberoptics branch in Stockholm and Mälardalen regions, which also means that they need to travel a bit in their company cars. 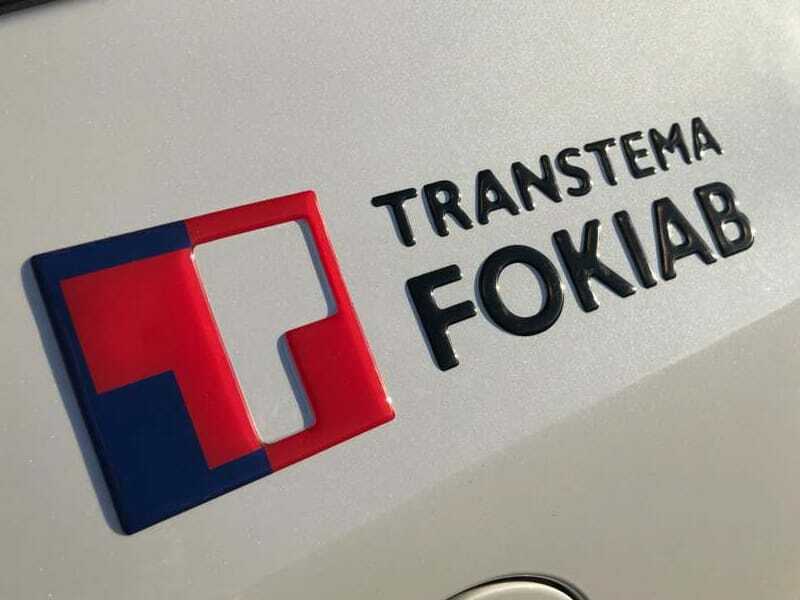 The representatives of Transtema FOKIAB were looking for an elegant way to mark those cars and they decided to make their logotype as doming stickers that shall be mounted on the sides of the cars. It was great news for us – specialists in this kind of products! Doming allows us to produce stickers with 3D effect made of a transparent resin which is immune to weather conditions and UV radiation. 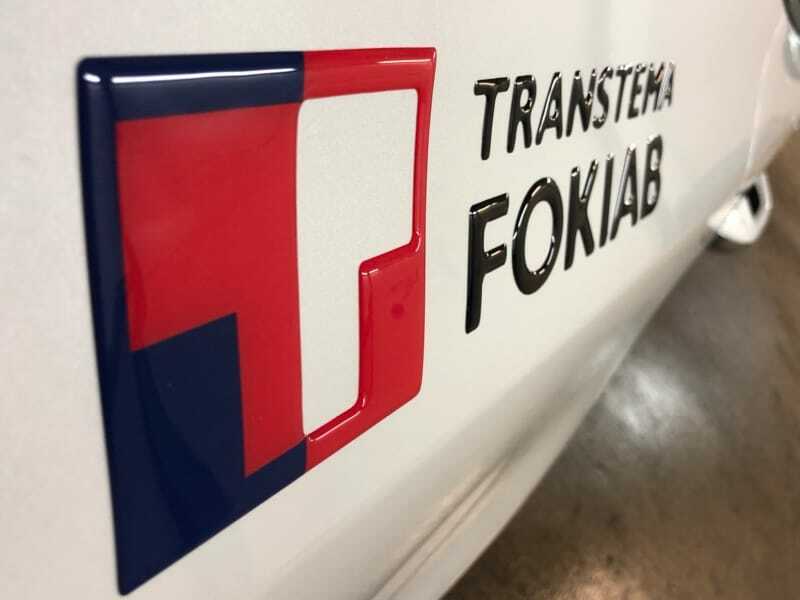 This kind of resin is very often used to produce rectangular or other regular shape stickers, however there is a possibility to make such stickers as the one for Transtema FOKIAB which can be a great, comparatively cheap, durable and elegant way to mark the company cars. You can see the result in the pictures – all the letters are made as separate stickers and so is the logotype itself. To make the ”T” from Transtema logotype look even more interesting, we suggested to leave the white part of it uncovered with resin. Thanks to this simple idea the sticker has gained additional visual effect in the form of refractions of light on the edges between the uncovered half of the ”T” and the rest of the logo. Mounting process is simple – such stickers are delivered with transfer film. The user shall just detach the backing paper carefully enough not to unstick the letters from transfer film and then mount everything on the dedicated surface on the car. After application all what needs to be done is just to remove the transfer film and that is it. It is worth mentioning to remember about cleaning the surface before, which is a guarantee for long-lasting use. So, maybe it can be something for your company as well?